Swim safely so everyone has a great time. We’ve put together a list of tips for keeping everyone safe in and around the pool. You’ll want to come up with a basic list of your own pool rules, too, and make sure everyone knows about them. 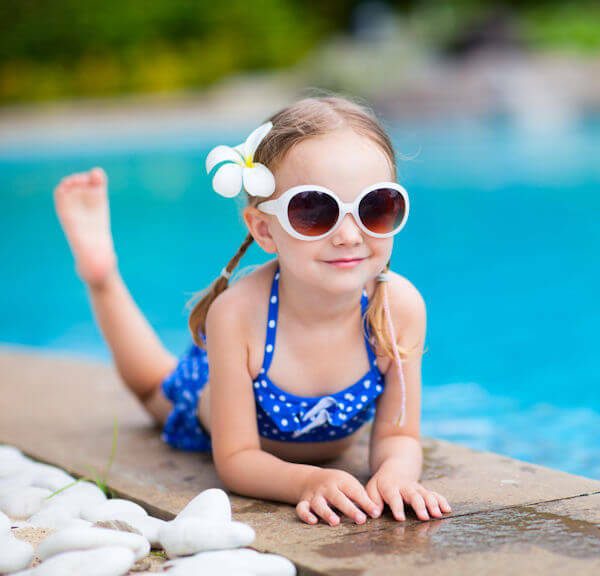 Children should never, ever, under any circumstances be left unattended in a swimming pool – inground or above ground. Children who’ve had swimming lessons should also never be left alone. Shallow water even poses a drowning hazard. It is always better to err on the side of caution. To add extra safety, install a fence around the pool and consider a pool alarm that lets you know if the water has been disturbed. 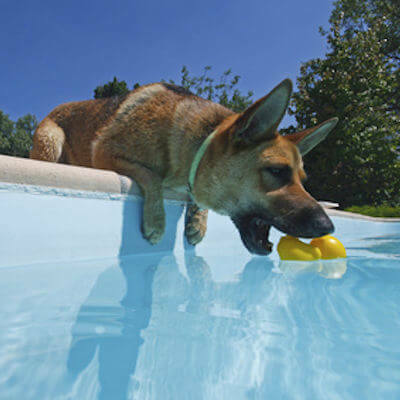 Even if your dog can swim, it doesn’t mean he can get out of the pool! Teach your pet how to reach the steps so he can get out of the pool. Again, consider a fence around your pool or an alarm system. A 4-6′ fence around your pool with a locked gate keeps children and pets out of the pool when you aren’t around. Make sure the fence is hard to climb and keep lawn furniture away from the fence. Trim your trees and shrubs so they can’t be used to gain access to the pool. Make sure everyone knows your pool rule and be consistent. Here are a few to get you started: No one swims alone. No running. No diving in shallow end. No glass bottles. No pushing in the pool. Don’t swim after drinking alcohol or taking medications that might affect your judgement. Always keep first aid supplies and rescue devices near the pool. 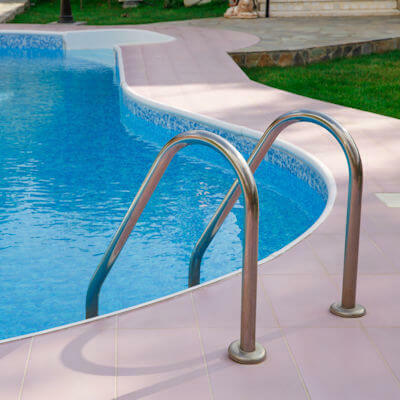 Not sure how a new swimming pool fits in your budget? Check out our financing options to make your backyard dreams come true.